Harold D. Truesdell passed away August 13, 2018 in Niagara Hospice House. Born March 7, 1929 in Ransomville he was the son of Mertin and Cornelius Truesdell. Harold served in the US Army during the Korean War and was the owner/operator of Truesdell Trucking Inc in Ransomville. 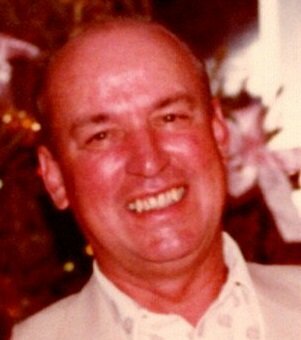 He enjoyed golfing, traveling to Florida, and watching football especially the Buffalo Bills. Harold is survived by his wife June (Kneepple) Truesdell; children Richard (Lynne) Truesdell, Melinda (Gerry) Geartz, and Daniel (Darlene) Truesdell; nine grandchildren and eleven great grandchildren; siblings Neil (Joyce) Truesdell and late Mertin Truesdell and Edna Willis; also several nieces and nephews. Relatives and friends may call Friday, August 17th from 6-8 PM in Prudden & Kandt Funeral Home, 242 Genesee St., Lockport. A memorial service will be held Saturday, August 18th at 10 AM in the Chapel at CrossPoint, 500 CrossPoint Pkwy., Getzville, NY 14068. Donations to Niagara Hospice would be appreciated.